From recording and reporting detailed performance data, to staff sharing content and collaborating with students, schools are increasingly reliant on computers and connectivity. Like all organisations making greater use of technology and the internet, it is vital that they take all the steps they can to keep their systems, people and data secure and safe from harm. The risks of insecurity are well documented. Schools face the same cybersecurity threats as other organisations and are each targeted hundreds of times a day by cybercriminals seeking to compromise their systems. Beaming research shows that one in three educational institutions in the UK fell victim to some form of cybercrime last year. More than one in ten schools were hacked, had their passwords cracked by outsiders or suffered a successful social engineering attack. The impact of insecurity can be catastrophic: IT systems rendered useless, access to vital resources denied, and – possibly worst of all for a school – sensitive personal data stolen, exposed and even put up for sale on the Dark Web. Under new GDPR rules, organisations can be fined heavily if they fail to take adequate steps to secure their systems. The Information Commissioner has advised schools to be particularly vigilant around information security. It has warned that unauthorised access to personal information would be particularly harmful to pupils, parents and staff; people with a right to seek compensation if the loss of their personal data caused them damage. Beaming research shows that one in three educational institutions in the UK fell victim to some form of cybercrime last year. 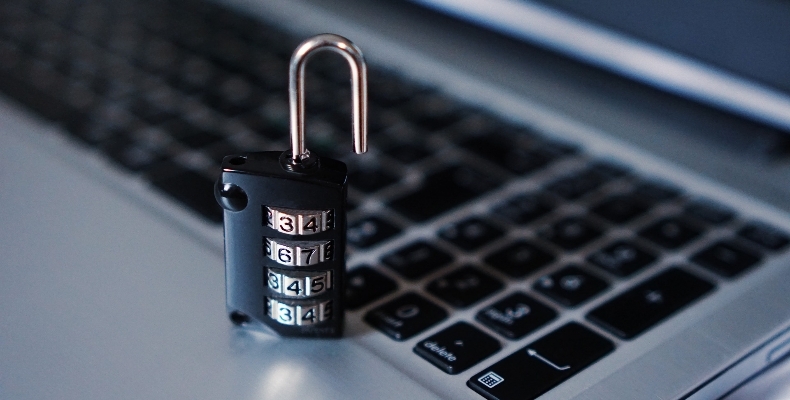 Action Fraud, the UK cybercrime and fraud reporting centre has warned schools to be wary of cybercriminals claiming to be from the ‘Department fof Education’. This followed a series of incidents in which bogus emails were used to infect school computer systems with malicious software that prevented legitimate users from accessing them. Guidance published by the Department for Education in September 2016 requires that school governors and managers put in place ‘an effective approach to online safety’ to ‘protect and educate the whole school or college community in their use of technology and establish mechanisms to identify, intervene in and escalate any incident where appropriate’. What an ‘effective approach’ looks like is somewhat subjective, and can differ from organisation to organisation. In Beaming’s experience, the most secure organisations use technology where appropriate, supported with clear policies and, most importantly, extensive user education. Take ownership at senior level: The government’s statutory guidance requires that a member of the senior leadership team is made responsible for safeguarding in schools. Cybersecurity and online safety should be taken just as seriously. They should be discussed regularly with school governors and at leadership team meetings. Appropriate policies should be implemented and enforced by the senior leadership team itself. Establish a strong online perimeter: Schools should establish strong boundary firewalls and internet gateways to protect school networks from cyberattacks, unauthorised access and malicious content. Cyber security controls should be monitored constantly and tested on a regular basis. Update content filters, constantly: People are usually the weakest link in organisations. In schools there are many young internet users with curious minds that need extra protection. Content filtering systems need to be updated constantly as tech-savvy students are capable of creating new ways to circumnavigate filters with incredible speed. Establish solid access control policies: Schools should establish effective processes for managing user privileges to their systems to minimise the risk of deliberate attacks and accidental breaches. Users should be provided with the minimum level of access they need to do their job. When staff members leave the school, their access should be revoked promptly. All records should be kept up to date to prevent exploitation of old accounts. Check third-party providers thoroughly: Schools should ensure they vet thoroughly all third-party platform providers used to ensure their approaches to security and safety are at least as stringent as their own. Access to students, parents and guardians should be granted by teachers themselves using email addresses provided in person. Ensure secure configuration and patch management: Schools should know precisely what hardware and software is being used on their networks and ensure configuration changes are authorised, documented and implemented appropriately. Devices should be set up so that only approved users can make changes. Software updates and security patches should be implemented quickly when released by manufacturers. Monitoring and incident management: Schools must monitor all of their systems continuously and analyse them for unusual activity that could indicate an attack. Criminal incidents should be reported to the police and other relevant authorities. Invest in cybersecurity and online safety education: The Department for Education requires that students are taught about online safety as part of safeguarding activities. Schools should ensure members of staff understand the risks and their own security policies covering acceptable and secure use of systems. There should be regular sessions to ensure staff and students are aware of new phishing or spoof email attacks. Don’t forget physical security: Schools should maintain cybersecurity defences that are appropriate to the importance and sensitivity of the systems and data requiring protection. Planning for these should include the physical security of hard drives, internet routers, servers and other devices on which data can be stored. School equipment is targeted by thieves, especially in the school holidays, so any device holding sensitive data should be encrypted. Consider personal devices: The National Foundation for Educational Research has found that three quarters of teachers believe smartphones make it easier for student to access inappropriate material at school. Nine in ten secondary teachers said their pupils had experienced cyber bullying. Schools should have clear policies around mobile technology and how it is used on their premises. Students should be taught about acceptable use of their personal devices, how they interact with each other on social media and where to turn for help.